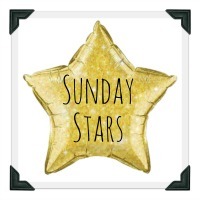 My friend and fellow blogger Jeni over at Poole Mamma invited me to take part in the Christmas Tag and I thought it might be a nice idea to answer some Christmassy questions! I love everything about Christmas! I love the build up, the Christmas music, the food, the wrapping of presents, the general atmosphere! It's my favourite time of year and now we have Elliot, it means Christmas has that element of fun again. 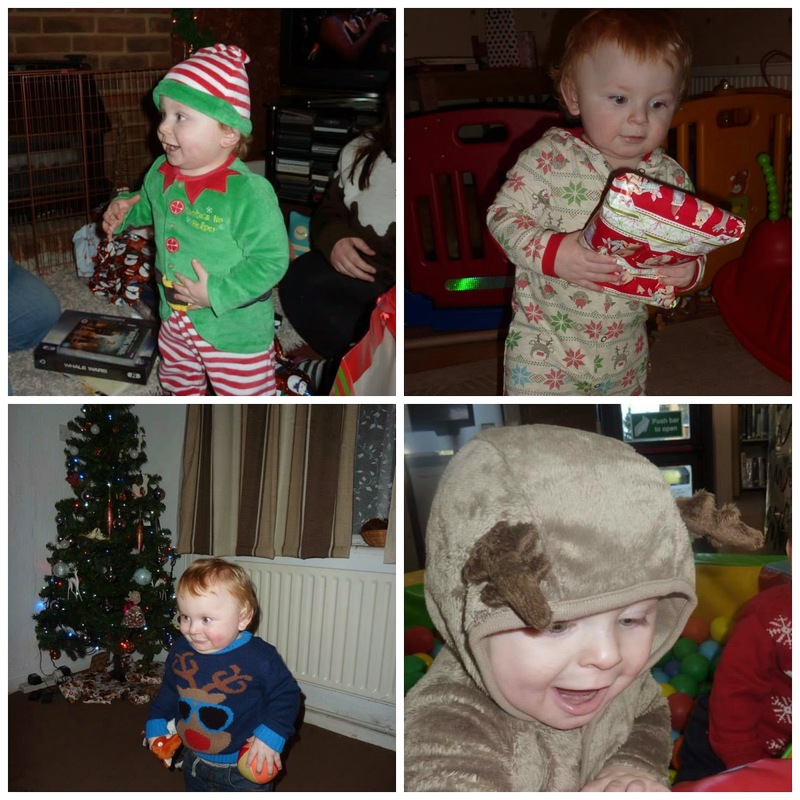 I love taking him to visit Father Christmas and I love buying him cute Christmas outfits! Various Christmas outfits from last year! I like to wear a silver sparkly eyeshadow, lots of eyeliner and lots of mascara and usually a bit of glitter if I'm off out on a Christmas night out! 3. Real of fake tree? There's only one option with a toddler on the scene - a fake one!! We used to get a real one when I was a child but I just remember the pine needles all over the floor! 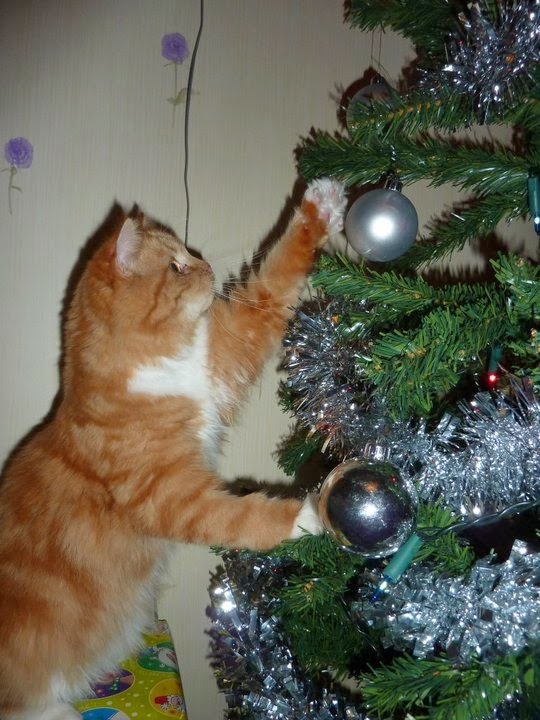 Our nosy cat Sookie having a play with the big shiny things! I've always loved to give presents and even more so now Elliot is here, we buy him far too much! 5. Do you open your presents in the morning or the evening? When I lived at home, even as teenagers me and my sisters would be up at the crack of dawn itching to open our presents! 5am was the earliest our parents would allow us to get up and it was so exciting running downstairs to see "he'd been!". I'm sure some families have very civilised opening of presents but not us ;) Now I'm in my 30s I don't get up quite so early but it's still a tradition to open presents first thing - I'm not sure I could wait until after lunch!! I'm the world's least creative person so shop bought all the way! It has to be Elf, I can watch it over and over again and it never gets boring - I just love the scene where Buddy gets told Santa is coming to the store........."SAANTAAAA!!! I KNOW HIM!!!!!!!!" Three words - PIGS IN BLANKETS!!! I'm not sure why I don't have these at any other time of year but these are my favourite part of the Christmas Dinner! 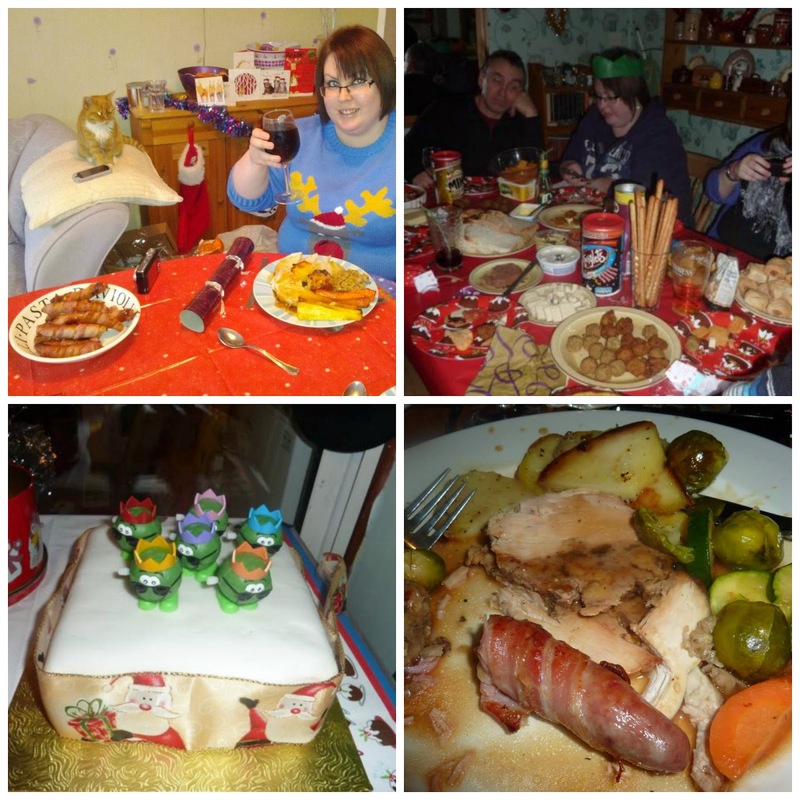 My other favourite part of Christmas Day is the buffet my mum does for us all - you can't beat it!! Everyone is so stuffed but theres always room for some sausage rolls and crisps! I have been given so many nice things over the years but one that sticks in my mind is getting a new bike as a teenager! Me and my sisters had opened all our presents and weren't expecting anything else.....but Mum told us to go into the back room where three bike shaped objects were waiting under a big cover!!! Woohooo! 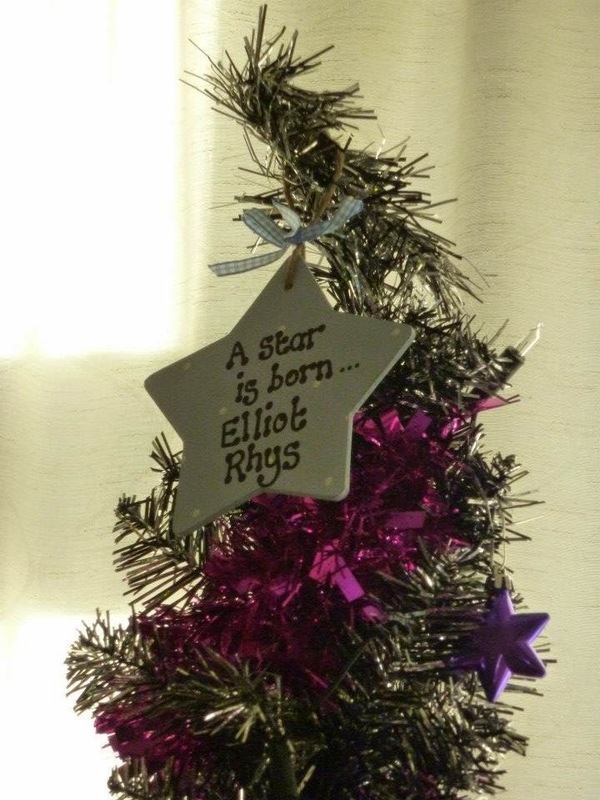 We have a little wooden star that was given to us when Elliot was born, It's very cute and is light enough not to pull the tree over like our previous star! Love these Christmas tag posts!! I've just written mine this morning. I'll put it live soon. I just love Elf too! !